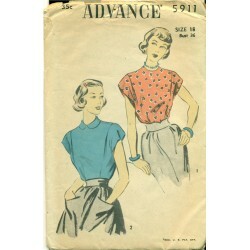 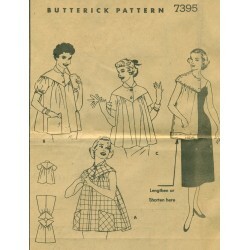 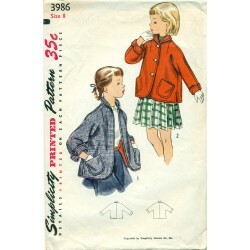 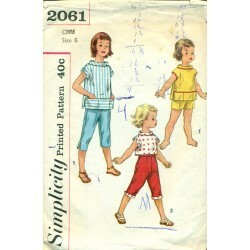 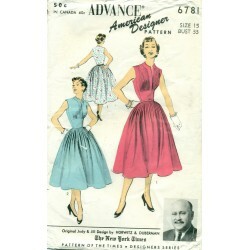 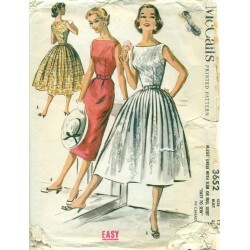 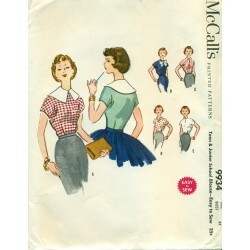 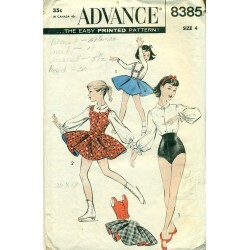 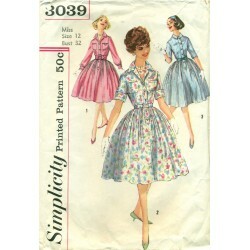 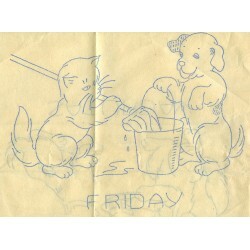 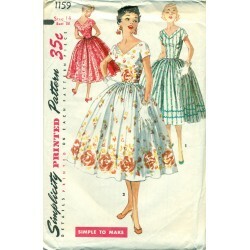 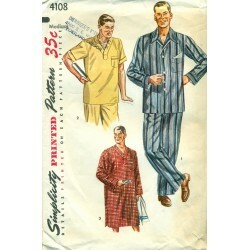 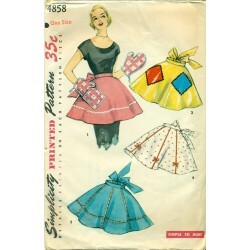 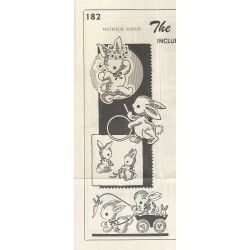 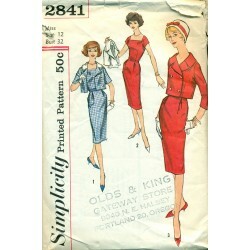 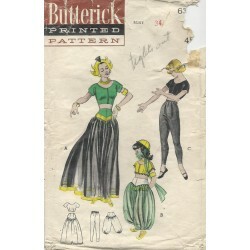 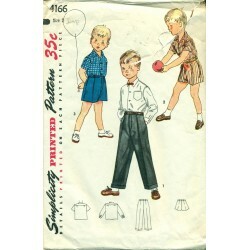 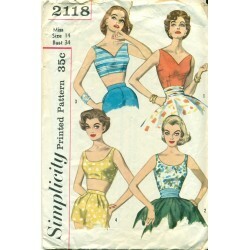 Simple, yet elegant, shirt sewing pattern from the 1950's and Advance Sewing Patterns. 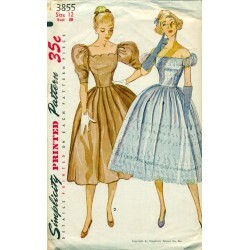 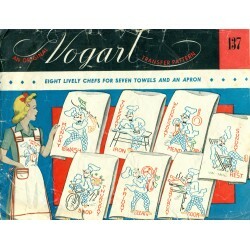 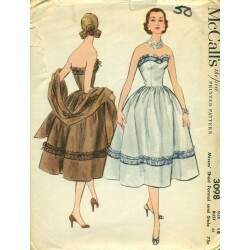 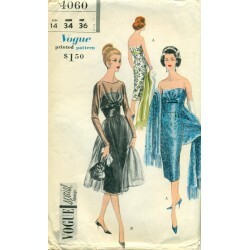 Short, cap style sleeves which are a part of the bodice. 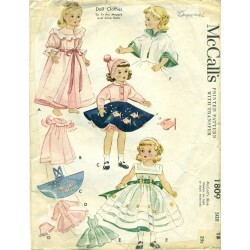 You can sew it with or without the peter pan style collar. 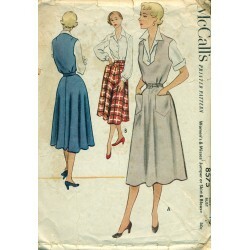 Nice loose fitting style. 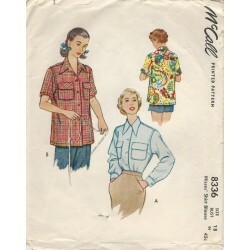 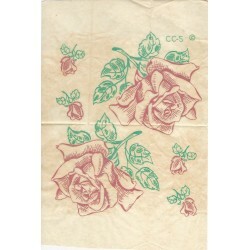 This is the perfect style of blouse or shirt to show your creativity with the different ways you can embellish it. 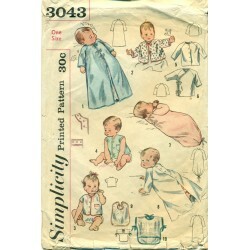 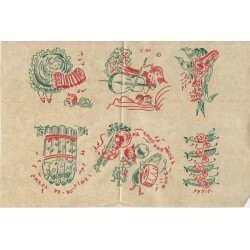 Condition : Used, checked and counted with all of the pieces and instructions here. 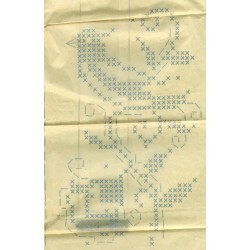 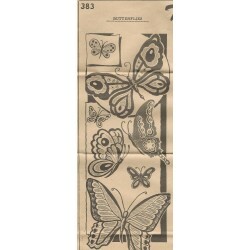 The instructions do have a tear, and the envelope has some gentle wear with which looks like a strip of old tape residue along the bottom edge in the back.